A grain terminal could be built in Slavyanka by the biggest Chinese corporation – “Hebei Port” company.This is reported by “Vesti:Primorye” with a reference to press service of the region administration. “Hebei Port” is a state corporation which is a complex of companies. They are responsible for building, developing, checking economic activity, managing, financing of ports in China. The stockholders of “Hebei port” are 52 investing companies. Nowadays it’s the biggest corporation in the world in the field of transportation of bulk materials. The company works with 400 tons of materials every year, total income is more than 3 billion yuan per year. Now the company is going to cooperate with Primorsky Region and to start building of specialized cargo terminal. The Chinese company has already started the work. 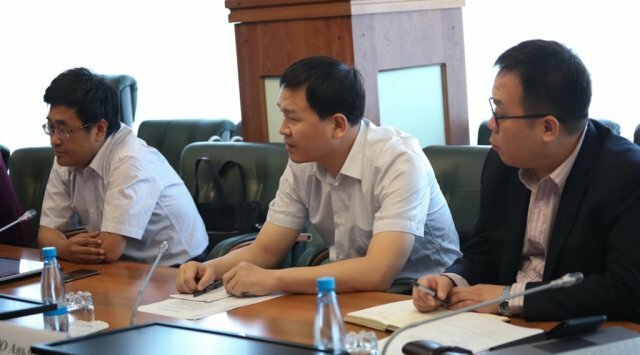 For the moment the specialists of the biggest transport company China Communications Construction Corporation (CCCC) conduct research for engineering the terminal. At first it is planned to create a berth for reloading grain cargo for vessels with a displacement of 50 thousand tons. The project will also include grain storage containers, a railway section for servicing the terminal and a system for transporting and loading grain to the ship. The terminal should become an important road junction for the development of the import-export commodity turnover between Russia and China and it will allow to reload not only grain but also fuel pellets. Investors expect to overload grain from the provinces of Heilongjiang and Jilin, and also import it from the regions of the Far East. For the moment the volume of agricultural products in this part of Russia is not so large, but the territory is developing actively, that’s why in the future specialists hope to increase the volume of trans-operations. Chinese company is planning to achieve a volume of 2 million tons. The new terminal needs the appropriate infrastructure, so the investor is ready to build and reconstruct sections of the railways from Slavyanka to the Chinese territories. It was noted that LLC " Hebei Port " intends to participate in the development of the logistics component of the project.